Play Clan, Happy Birthday M.F. Hussain! With an extra-long paintbrush, For Madhuri, he blushed. 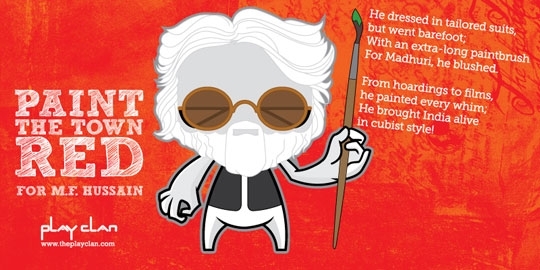 He brought India alive, in cubist style!